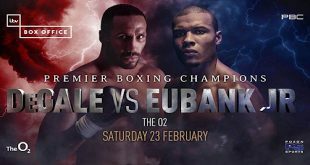 Saturday 19th February, Wembley Arena will not only be the hosts for the British title double header fights between Lenny Daws (Molden) vs. Ashley Theophane (Kilburn) and John O’Donnell (Shepherd’s Bush) vs. Craig Watson (Manchester), but for the first time Enfield’s popular boxing stars, the Evangelou brothers will both be in action in the pro ranks together. The event at Wembley Arena on the 19th is being promoted by Hennessy Sports. Chris, 24, the younger brother of the two will be bidding for his six straight win on the same night as 27 year old Andreas will be making his professional debut at Light Heavyweight. Both brothers are trained by Paulo Muhongo and their father, †The Archbishop, †The Most Reverend Dr. Costakis Evangelou, who also manages their careers. 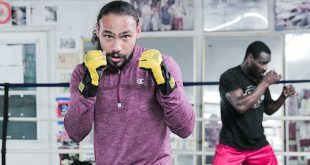 Chris aka “The Flash” said “Training for this fight has been excellent; I feel I am back to my old flair and I feel very hungry for my first fight in 2011." 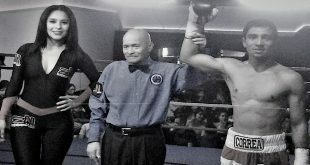 “I’m looking to stay undefeated and focused and to keep on track for a title bid by the end of the year.” added Chris. Older brother Andreas who enjoyed a relatively short but rewarding amateur career, in which he fought 11 times and won the London North West ABA Title and Gold at an International Tournament in Sweden, has now decided to follow in his brothers footsteps and join the pro ranks. 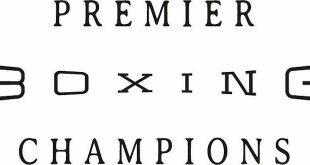 Colchester’s Commonwealth title challenger Lee "Lights Out" Purdy will be in back in action defending his Southern Area title against former British title challenger Michael Lomax of Chingford. Joining these fighters at Wembley will be a host of talented young boxers including Haddenham’s Tornado Tyler Goodjohn, Islington’s John “Gorilla” Ryder and Phill Fury of Lancaster. Tickets already purchased for the original date of Saturday 5th February will be vaild for the rescheduled date of Saturday 19th February and no further action is required. Please note: Family tickets are also available from the Wembley Box Office.